Florence “Tiney” Elizabeth Lujan (Cole), 71, of Othello, Washington, passed away Feb. 21, 2018. 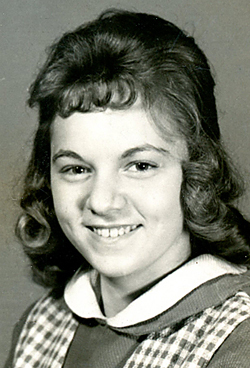 She was born Sept. 24, 1947, in Williamsport, to Neal E. and Dorothy M. Kinney (Cole). Florence “Tiney” was preceded in death by her father, Neal. R.; mother, Dorothy M. Cole; brother, Neal E. Cole Jr.; sister, Mildred L. Cole; and daughter, Joann R. Lewis. Florence is survived by a brother, Alfred M. (Judy), Richard (Nancy) and Deion Cole; sister, Beverly J. Snyder; children, William R. Lewis (Beverly), Robert E. Teddie, Helen L. Talada and Doddie Lepley; grandchildren and great-grandchildren; numerous nieces and nephews. Florence loved wrestling on TV, all animals, crafts and baking.